Here at Advent, we believe the church, and each Christian, is called and empowered to be a blessing to their neighbors. That's our "mission" in the world. While we do this individually in our own personal contexts, the love of Christ is powerfully reflected when the "body of Christ," the Church, serves together. At Church of the Advent, we're committed to blessing Villa Park through a variety of avenues. The easiest way to serve is to join us for a church-wide mission project, such as our neighborhood Block Parties or Rake & Bakes. Check out our Events page to see what's coming up. If you'd like to be involved in an ongoing ministry as part of a team here at Advent, check out one of these options! 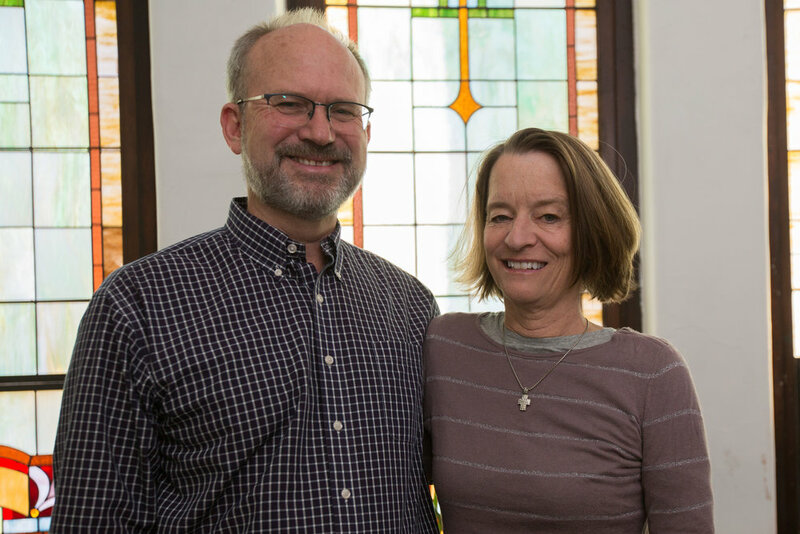 Villa Park-Barum Small Group: Huck and Loyce Burns have answered God's call to move into the neighborhood and lead a small group of people in seeking how God would guide Advent into ministry in our neighborhood context. The Villa Park Small Group has a local mission focus and actively seeks out ways to build relationship and invite our neighbors to participate. Through the leading of the Holy Spirit, we seek out opportunities to practice hospitality, ask neighbors to be a part of our small group, build trust in relationship, eventually share the Gospel, and ultimately invite people of the neighborhood to become a part of our Church family. Group members encourage each other in prayer and the Word of God as we step out in faith and courage to reach out with the love of Christ in Villa Park and surrounding neighborhoods. The Villa Park Small Group meets at the home of Huck and Loyce Burns, or in the homes of others in the neighborhood. To learn more about God's call to Huck and Loyce, read Huck's post in our "Journal" here. To discover more about this small group and/or how to be involved in its mission to the neighborhood, you can contact Huck at hburns@denrescue.org. Serving Eagleton Elementary: We enjoy serving our neighborhood through partnering with Eagleton Elementary in Villa Park. We’ve had opportunities to supply neighbors with Thanksgiving baskets, as well as meet other practical needs. It’s been a joy to get to know some of the staff and families at our local elementary school! Contact Brenda Wright at botanicamedica@gmail.com for more information. Women's Homeless Initiative: Adventers have helped staff this volunteer ministry, sponsored by Capitol Hill United Ministries, since its inception in 2011. Our team helps on Saturday nights once a month with cooking, serving, and building relationships with the women. Danielle Williams leads our team; contact her at danielle.linton@gmail.com. More ideas? Let us know! We have individual Adventers that serve in a variety of ways around our neighborhood. Join these individuals to make a new team, or start up your own new ministry. The options are as wide as God's love and our passions, and that's pretty wide!